OK-I was worried about making my favorite cookie into a gluten free recipe. Well-after I saw my daughter liking her plate to get any remaining crumbs off, my worries were gone. This isn’t a typical “Tooth Food” recipe. It does use butter and sugar (although, by accident we reduced the amount of butter and it was still great). Since I first wanted to convert it to a gluten free recipe, I thought I could mess with the other ingredients at a later time. You’ll have to check back next year for alterations. If you make any, please leave them in the comments and let me know how they worked. By the way-some of these cookies crashed to the ground and were still eaten by the house vultures-that’s how good they are. 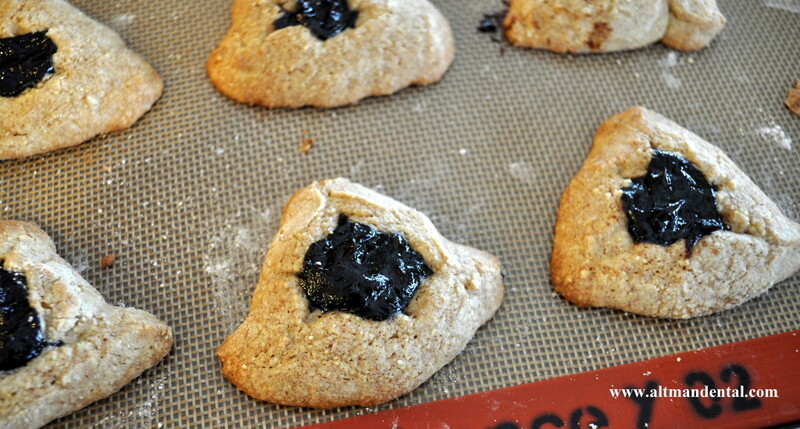 They’d be great on their own without the filling as a drop/press cookie too. In case you aren’t familiar with these gems of a cookie, they’re a traditional cut out cookie with a twist. 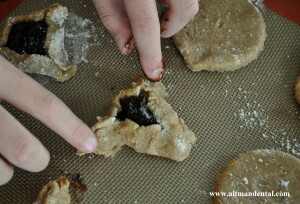 You add your favorite filling to the center and turn them into triangles. Why? Well, let me tell you! 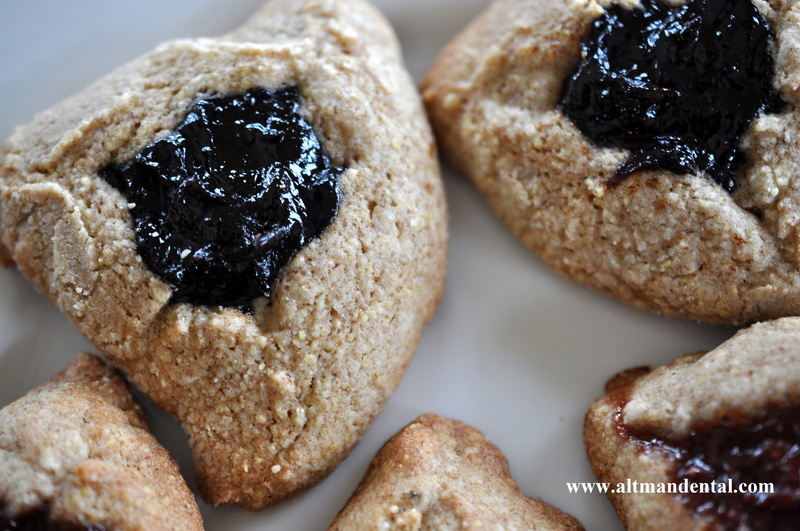 Hamentashen come from the term Hamen, a biblical character in Persia. Hamen was a bad man and a central character of the Jewish story of Purim. Hamen wanted to do away with the Jews of Persia, and long story short, his plan was foiled. The king saved the Jews from persecution. Every year at this time, Jews celebrate this through a carnival style party. They dress us in crazy costumes, give gifts to the needy, and indulge in a sweet 3 pointed cookie, the hamentashen, named after the shape of Hamen’s 3 pointed hat (think Napoleon). 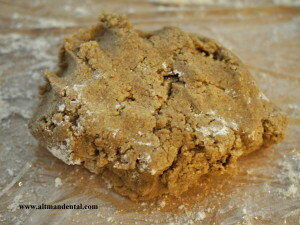 Flours: For this recipe I used my whole grain gluten free flour blend and my all-purpose flour blend below. You can use a gluten free all purpose flour mixture. I just avoid them because I don’t like to use gums (which they have already added). *If you do use a pre-mix, don’t add the psyllium husk in the recipe. Psyllium acts similarly as xantham and guar gums in its absorbency property. It can be found easily in grocery stores (don’t be scared by it’s label as “colon cleanser”, it helps absorb liquid by increasing fiber). You could sub out the whole grain mixture if you don’t have all of the flours and sub a whole grain flour such as sorghum, teff, or almond. Just be sure to weigh them, as each measures out different cup amounts by weight. If using gluten free flours: I rolled out some of the dough between floured saran wrap, but found it more difficult to work with. I rolled a handful of dough into additional GF All Purpose Flour to cut down on the stickiness. I made balls of dough instead (about 1 tbsp of dough) and gently pressed them into circles the size of the glass diameter. Bake at 375 for 10-12 minutes until golden brown. Let cool and enjoy! 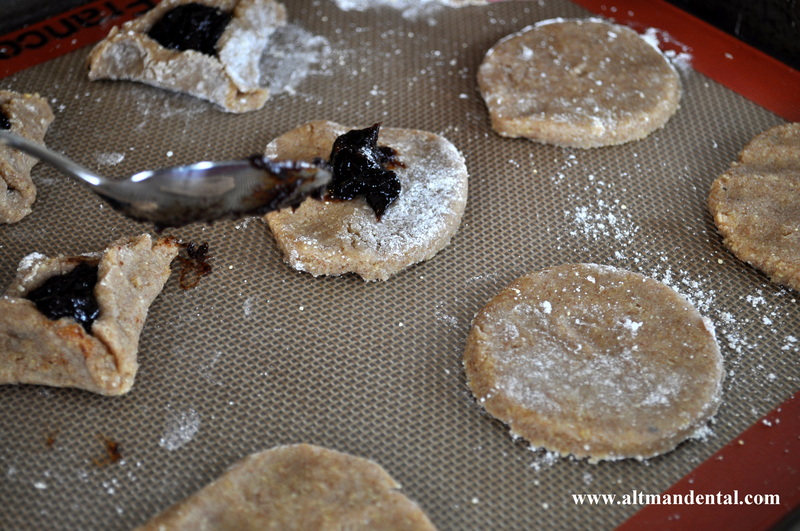 Who are you kidding-it’s a traditional cookie! Well, at least it’s gluten free, right? *If you do use a pre-mix, don't add the psyllium husk in the recipe. Psyllium acts similarly as xantham and guar gums in its absorbency property. It can be found easily in grocery stores (don't be scared by it's label as "colon cleanser", it helps absorb liquid by increasing fiber). You could sub out the whole grain mixture if you don't have all of the flours and sub a whole grain flour such as sorghum, teff, or almond. Just be sure to weigh them, as each measures out different cup amounts by weight. I rolled out some of the dough between floured saran wrap, but found it more difficult to work with. I rolled a handful of dough into additional GF All Purpose Flour to cut down on the stickiness. 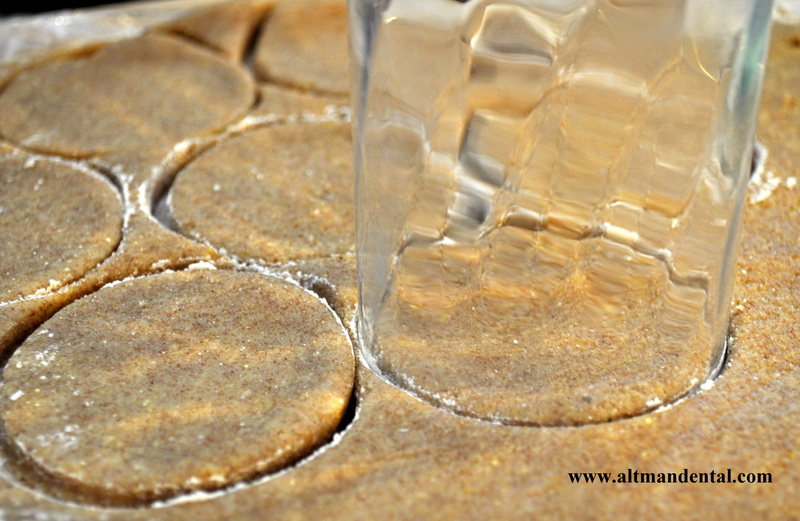 I made balls of dough instead (about 1 tbsp of dough) and gently pressed them into circles the size of the glass diameter.